“What was life like before you discovered dry shampoo?” Allure magazine asked recently, with the reply: “sad, lifeless, and perpetually ponytailed, we bet”. They then went on to name their top buys when it comes to the category, which included a formula I have just started using from Moroccanoil. First, it's nothing new to rave about dry shampoos and texturising sprays and the like – they are a fixture in pretty much every bathroom cabinet, and with good reason. I’ve long been a heavy user of dry shampoo and hair dusts and powders, mainly because I don’t like washing my own hair (First World Problems, oui?) and also because I have a fringe that necessitates frequent re-booting. I got to the gym six days a week and they are a godsend for a greasy fringe, perhaps the perfect product. But I digress, back to Moroccanoil Dry Shampoo. It has certainly been a long time coming, but finally the major haircare name has release what they call a “breakthrough solution” to refresh and revitalise your next day style. The seriously powerful, innovative formula has been designed to instantly absorb oil and product buildup without leaving behind any visible powder, and it uses some pretty clever ingredients to do so. 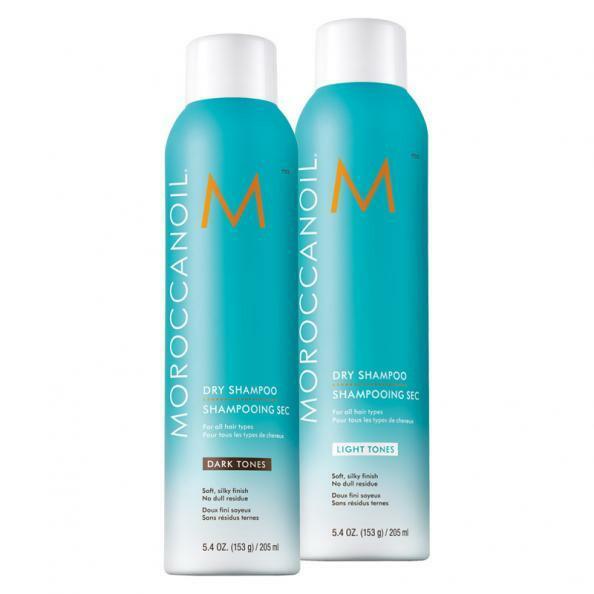 Featuring natural volumising and deodorising agents, as well as a UV filter and a hint of the signature Moroccanoil fragrance loved by so many, Moroccanoil Dry Shampoo appears to be quite the winner if my couple weeks’ using it are anything to go by. Also specifically developed to address different tonality needs, Moroccanoil Dry Shampoo features two, colorspecific formulas: one to preserve the integrity of light and blonde tones and one to maintain the richness and dimension of darker hues like mine. To bring out the best in light tones, Moroccanoil Dry Shampoo Light Tones features subtle violet undertones to help balance brassiness. On darker hair, traditional dry shampoos leave behind a white residue that diminishes natural shine; but Moroccanoil Dry Shampoo Dark Tones is formulated with ultra-fine rice starches that break down and dissipate immediately upon application. As a brunette, I’ve found that most of the powdery white formulas - even the ones that claim to be translucent - leave behind a chalky, way-too-matte cast. This one doesn’t, and even uses subtle, violet-tinged pigments to make brown hair look multidimensional whilst adding volume at the roots. Pretty clever huh? Like most dry shampoo formulas it’s super easy to use, just position the bottle 15–20cm away from hair roots and generously spritz 5 cm sections of hair. Massage into the scalp with your fingertips to activate the formula and distribute product, and then with a brush or thin comb, gently brush hair to fully work product into strands and deliver extra volume. Too easy. 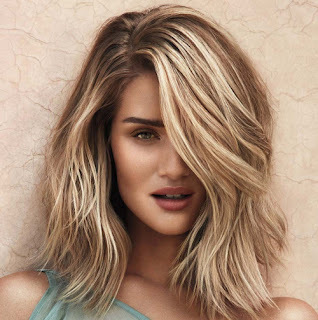 It even comes with a clever stylist’s tip: after application, flash-dry roots with a blow dryer on a low setting to boost volume and set style in place. This puppy is available now with an RRP of $44.50. A bit of a splurge but highly recommended.